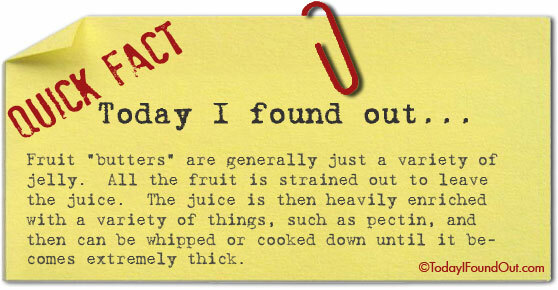 Fruit “butters” are generally just a variety of jelly. All the fruit is strained out to leave the juice. The juice is then heavily enriched with a variety of things, such as pectin, and then can be whipped or cooked down until it becomes extremely thick.